Despite careful and methodical preparation, there is always the potential for an injury during superyacht regattas. 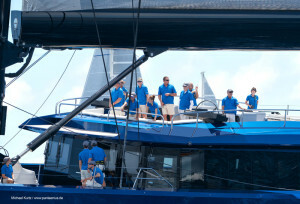 It is therefore essential for the captains of participating superyachts to not only fulfill the hull and liability insurance requirements set forth by the event organizers and their individual underwriters, but also to have a clear understanding of the yacht’s insurance policy regarding injuries to permanent crew, paid race crew, unpaid race crew, and invited guests. Additional short term medical insurance coverage is available and might be appropriate depending on the size of the crews and the status of the persons onboard. Some superyacht event organizers are considering requiring each vessel to supply either a copy of the yacht’s policy clearly listing the regatta events for which the yacht is covered or a letter of acknowledgement from the insurance underwriters acknowledging the yacht’s participation in the event. It is the permanent captain’s responsibility to communicate with the vessel’s Flag State in order to understand all regulations relating to commercial/private status, number of persons on board, risk assessments and other ISM/mini-ISM topics.